This is where you would write stuff regarding the property of Carly and James. This is where you would write stuff regarding the property of Carly and James. This is where you would write stuff regarding the property of Carly and James. This is where you would write stuff regarding the property of Carly and James. This is where you would write stuff regarding the property of Carly and James. This is where you would write stuff regarding the property of Carly and James. This is where you re going to talk about the job and removing the grass and tree, grooming the palm. Then planting with shapes and colors with creeping sedums. Also mention timed drip system. This is where you re going to talk about the job and removing the grass and tree, grooming the palm. Then planting with shapes and colors with creeping sedums. Also mention timed drip system. Write something here about the love of orange and creating more color with crushed glass. mention shape with black lava rock and spreading sedum. 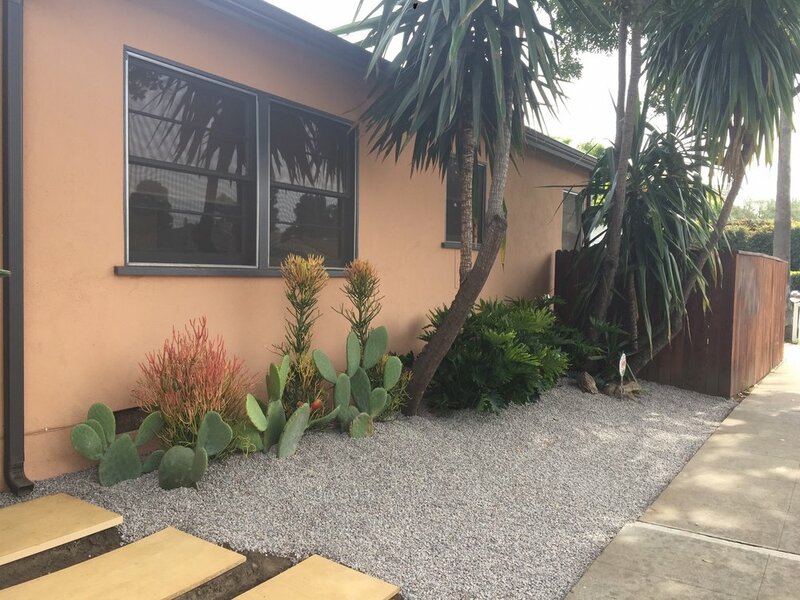 Write something here regarding the corner - using a sculptural agave and boulders to be not only eye-catching but also functional as it keeps pedestrians from cutting the corner through their yard and shuffling down the gravel. "This is our first home and Patrick and Michael taught an old dog a new trick! The style of landscape brings our dream home into the 21st century!"